Jill DeWit: Bonjour. I’m planning a trip. Can you tell? Jill DeWit: And I’m Jill DeWit, broadcasting from sunny Southern California. It’d be funny if I said sunny Southern France. Steven Butala: We should do that when you go there. Jill DeWit: Yeah. We will. 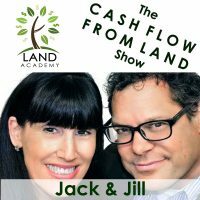 Steven Butala: Today, Jill and I talk about how to sell land on eBay.com. And I have to say, of all the topics that I feel qualified to talk about, this is one of them. Tens of thousands of properties, pieces of real estate, we’ve sold on eBay. eBay alone generated 20 million dollars of equity since 2004. Jill DeWit: I’m willing to bet that if we called eBay today, you still hold the record for the most properties sold. Steven Butala: I mean, we still sell on there now. If you go on there right now, you’ll see us. Jill DeWit: I’m sure you hold the record. Steven Butala: But back in the heyday, we were invited to … I mean, we were doing millions and millions of dollars. Jill DeWit: How many? Just give me … what was the average a month and what was the average a day? Steven Butala: We were selling four properties a day at one point. Jill DeWit: So that’s 120 a month. Steven Butala: We started … I’ll talk about it on the episode, but yeah. I don’t know. At one point, it was actually even more than that. Like 10 to 12 properties a day. Jill DeWit: I think you even had hourly stuff going at one point. So it’s interesting. And then since that, we had another company that we did off of eBay that I was involved in that we did have hourly closings throughout the day. Steven Butala: It’s still a very viable model. Jill DeWit: Remember that? Shucks, we had 30 to 50 closings a day with that other sub-company that I was involved in. Steven Butala: And sold the company. I mean, that was … it worked out great. Steven Butala: It was tough. Still ship the paper, but we’ll get into it. Before we get into it, let’s take a question posted by one of our members on the LandInvestors.com online community. It’s free. Jill DeWit: Gerd asks, “Howdy, y’all. I just received an email from my most recent mailer from a person stating that they are a minor in possession of the parcel.” Which can happen. Steven Butala: I just think this sentence “minor in possession” is interesting. Jill DeWit: It does sound funny. Minor in possession. Stand on … I’m a minor in possession standing on a parcel. Excuse me. Minor in possession of a parcel. Sorry. My bad. Steven Butala: That’s the name of a show next week. I can almost guarantee it. That name of the show is Minor in Possession. Jill DeWit: Shucks. I’m writing that down. Minor in Possession. Steven Butala: How about Minor in Possession: It’s Not What You Think. Steven Butala: You’re gonna laugh when I say this. Jill DeWit: Now I own it. Steven Butala: And Jill owns it and she didn’t even know. Jill DeWit: Yeah, I’m still sleeping. Jill DeWit: Do have to be an adult or 18. Jill DeWit: Yes. Property for gifts. Steven Butala: Property for … and they’re very minor. 10. 8, 10, 12 years old. Jill DeWit: Birthday gifts and things like that. We’ve gifted property. It’s a good gift. It’s a cool gift, actually. Steven Butala: Some age appropriate thing. Jill DeWit: I want a piece of dirt and whatever. What am I gonna do with this, dad? Steven Butala: It’s like giving a kid a pair of socks for Christmas. Steven Butala: If you do that, you gotta film that. Because they just … they’re like disgusted. Steven Butala: You sell it that day? Jill DeWit: No. Actually, I held onto it for a little while. I had the certificate. He gave it to me as a framed certificate to hang on the wall. Steven Butala: That’s a great gift. Jill DeWit: That was really kind of nice. So yeah, that was good. Jill DeWit: We didn’t talk about selling. Steven Butala: We didn’t talk about selling, so we’re gonna try to cover that, too. If there’s ever a time and you’re interested in this topic, this is one of those shows where you should probably take notes. Not kidding. Here’s some hard and fast rules about eBay land sales. The properties have to be inexpensive. You’re not gonna sell a commercial piece of property for $200,000 that’s worth $100,000 on eBay. You’re not gonna trick anybody. Please write that down. The shoppers on eBay are very, very price-conscious. They are on eBay to get stuff cheap. They are there for the same reason people stop the car to go to a garage sale. So that means you need to be incredibly good at buying ridiculously cheap property. I mean, almost for free. Jill and I have been given property throughout both of our careers, just because. Because through the [inaudible] process, those are great eBay candidates. And you want to leave the buyer shaking their head saying something like this to their wife, “Can you believe we just bought 40 acres for $6,000? And we can drive right up to it and it’s got … here’s the pictures of it. Look at this. We own 40 acres in Nevada or Arizona or Montana. We only paid $6,000, $8,000. And we truly own it, and their feedback’s 15,000 plus. And look at all these feedbacks of all these happy customers. It must be legitimate. Look at their internet presence. Look at that. They have a podcast? What? This is real. They’re on show 908 or whatever?” You want them to just be blown away. And so, I spent the first part of my career, long before Jill, setting this whole system up. You want to sell property on eBay in an auction format, meaning one dollar no reserve. That gets really … it’s very hard to get used to that concept for the vast majority of people. “What if it just sells for a dollar? I paid $2,000 for this property. What if it sells for a dollar?” It won’t. Trust me. It’ll sell for more. You can’t expect … here’s the beautiful thing about eBay. You can expect to get what other sellers are getting. So if you go on eBay and you hit completed sales in a land area and you look at Arizona or wherever you’re selling, that’s what you’re gonna get. You’re gonna get about what the completed sales numbers are. If there’s no data on completed sales about anything, let’s say in Minnesota or Michigan or, I don’t know, New York City, that’s not a good place to sell property. So you can tailor what you’re selling on eBay. You can tailor what you buy based on what other people have sold on eBay successfully. And so you can see the prices right there. These properties sell for 800 bucks. Oh, I better be buying them for 200 or 300 or 400 or whatever the numbers are. This isn’t land specific. You can do anything on eBay like this. So that’s your challenge or your mission, to buy a bunch of property way cheaper than it actually sells for on eBay. And then after that, the processing the paperwork is all … you can get somebody else to do that. You need to do it yourself and learn, but that’s the whole trick. If you … and we only ever do one dollar no reserve 30-day auctions, so you get a tremendous amount of traction. And then after a while, you will start to brand yourself as the seller. If you sell enough properties, the seller. Steven Butala: Which I promptly said, “That’ll never work.” And Jill said, “Why? Other people do similar stuff.” And I said, “I don’t know. It’s just not gonna work.” I don’t think anything’s gonna work, ever. Jill always thinks everything’s gonna work. Steven Butala: So thus is the birth of Land Academy, and that took off like … I mean, I can’t believe how big this thing’s gotten. Steven Butala: Jill has a tremendous amount of customer service slash eBay processing slash … I mean, you’re on the front lines of that for 10 years. Jill DeWit: Oh, yeah. I have funny stories about eBay. Steven Butala: So tell us. I mean, what’s the recension rate, what are people’s concerns? What’s your experience? Jill DeWit: So it’s gotten a lot better. What’s interesting is, we slowed down our eBay sales when things changed a couple years ago and started selling other ways. Obviously, with our website and all the land selling sites and social media. There’s all kinds of ways to sell land. And part of it was, too, we were getting frustrated because we weren’t getting the numbers that we were getting at one time. And also, the fallout rate was pretty high. People that would bid on it and then we reached out to them and they’re like, “Oh, that wasn’t me. Oh, my four year old son had my computer.” Really? Seriously? Your four year old son’s on eBay buying land? That’s what … I really got that one time. I’m like, “That’s funny.” And then there’s nothing you can do. And you have to try and do the auction again. I’m out my $50 that it cost me to post it. So anyway. So what’s great about it, now it’s coming back. We have just turned it up. We’re slowly dialing it back up. And I need to knock on something. There’s some wood. Because so far, we’re … no one’s fallen off. Steven Butala: We’ve done great. Jill DeWit: But I also think that, too, that there’s things that we know that we do … that we know how to do well that I also want to share to piggyback on this. And I’ll talk about the customer service, too, in a second. But one of the things that I know we do well is, we know how to make great postings with great pictures, good videos, and accurately convey the land and make it look good. So that’s one thing that we do really well. Another thing that we do that I want you to to do is, really spell out the transaction process in your posting. Tell them how it’s gonna go so there’s no surprises. Once you bid, when you win, here’s the next steps. You’ll expect an email with instructions how to pay, and we’re gonna get the deed out to you within X amount of days. And with recording instructions or you’re gonna record it or however it is, spell out the whole process so they know start to finish everything they’re doing. And all of this, by the way, is meant to lighten the load of the questions that you do have to answer, and we learned that over time. If you never put in your eBay posting what the taxes are every year and whether or not the taxes are current, you can bet that you’re probably gonna get some questions about that. And you don’t want to be answering that all the time. You don’t want to be dealing with those. So you want to make it easy on you. And then … but yeah, I’ve had some funny, funny things with eBay and funny questions. And you learn quickly the tire-kickers and the serious people. Most of the eBay conversation that I’ve learned, if anybody’s really asking questions before the auction close, they are traditionally the tire-kickers. They are traditionally not the ones that buy the property. The ones that really end up buying the property really don’t talk to them. Unless they have one question and it’s a good one. It’s something that you missed like, “Oh, shoot. Yeah, shucks. I forgot to put that in there. I didn’t put the GPS coordinates so you can look it up. Oh, here you go.” Or something like that. Steven Butala: You save yourself a lot of time and go copy our posting. Steven Butala: Because it’s 20 years of experience. Jill DeWit: Exactly. And transparency now, I think you’re right, that’s a huge part of it. Steven Butala: They look us up. Steven Butala: Our eBay username now is LandAcademy. Used to not be. And if you Google that, it’s instant credibility. You have to have credibility. Steven Butala: There’s cred. eBay cred. Internet cred. Steven Butala: You’re all set. Jill DeWit: He’s legit. If it was two, then I would worry. Or zero. Jill DeWit: I would worry. So then I might think, “Ah, he might not be legit.” But when they look at us and see ours, it’s … and it’s funny, because if you look at ours, I’ll tell you right now, too, if you look at ours, you’re looking at one of two accounts. We have another ones that’s equal to or more. Jill DeWit: With the number of feedback. We had two different ones running at the same time. Steven Butala: We’ll crank that up again. And that’s not an accident. My intent there is to compete with it. Jill DeWit: That’s a good idea. Call is something else. Steven Butala: [crosstalk]. Oh, yeah. It’s not my first rodeo. Jill DeWit: One will be … oh, that’s good. That’d be really kind of fun. Steven Butala: So it’s … selling real estate on eBay, if you take one thing away from this, is you have to buy it ultra cheap. And second thing is, not every type of property sells. Rural, vacant land does very, very well, but it needs to be very, very cheap and you have to have a very low expectation of price. 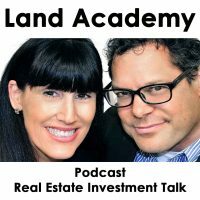 So if you’re the kind of person who tries to maximize price on a real estate deal, I mean, first of all you’re not gonna … if you’re that kind of person, you have no place in Land Academy. I’ll tell you that. That’s just not the business model. The business model is buying it ultra cheap and selling it for more, but it’s still ultra cheap. If you want to do two deals a year and maximize price, it’ll still work, but why? Jill DeWit: Make ’em good. Exactly. Steven Butala: I would rather do 200 or 300 and make a reasonably good margin. A margin that would stand up against any other business margin anywhere. It’d probably be way, way more. Let’s just say, double your money. Steven Butala: What other industry doubles your money? Jill DeWit: Can you do that? Steven Butala: Our historical … if I look back at every single transaction that we’ve ever done in our database in eBay and I look at our purchase price and our sold price, and this is net of all costs, all the fees are included in there, the fees that we charge, the eBay fees, and the fees to buy the property, those are all included in buy side and sell side, respectively, it’s 50%. We doubled our money on all those properties. So we generated … it’s more than 20 million now. At least 10 million. That’s just on eBay. Steven Butala: That’s not the real property deals that we do. Steven Butala: That’s not the deals that we do with the commercial real estate deals we do with our members. Jill DeWit: Yeah, those aren’t on eBay. Steven Butala: So it’s a good staple if you just did that. The other thing, too, is it removes the whole sell side effort from the whole equation here, so you just spend time in acquisitions. Jill DeWit: It’s true. I have one last comment about this. It’s a great way to drive traffic back to your website, too. So if you are selling a lot of property, you have one that sings to you that might be a great eBay candidate that, like Steven just said, meets that criteria, it’s a great way for people to go, “I wonder what else this person has,” and go look at your website. So it’s good, too. Steven Butala: Well, you’ve done it again. You’ve spent another 15 minutes or so listening to the Land Academy Show. Join us next time for finance Friday with me, Jill, and Justin Sliva. It’s gonna be fun. And we answer your questions posted on our online community, LandInvestors.com. It is free. Jill DeWit: You are not alone in your real estate ambition. You know, I was just thinking. No one has ever written a book called How to Sell Land on eBay. Actually, How to Sell Land on the Internet. Jill DeWit: And I think that it would do really well. Steven Butala: I think it would do really well. Jill DeWit: In fact, I just recently looked. No one’s ever really written a book on how to buy land. Like, called Land Acquisitions. So that would be something good for me to work on. Steven Butala: That would be awesome. I like those. Those are good projects. Jill DeWit: Do you have a book just in your soul waiting to come out? Steven Butala: I have several in my soul. I have several half-written. I do. I can’t think of the titles right now, but I’ve got a bunch that I’m working on that I want to do. Jill DeWit: I always write the title last. Steven Butala: That’s the way it should be. That’s good. Have a game plan, have your goal, but your … like your elevator pitch, but yeah. I agree, that should come last. Wherever you’re watching or listening, please rate us there.